It was another epic week of fishing. A decent amount of 5lb fish were brought in this week along with a nice 7 pounder. Desert Springs Hatchery is scheduled to plant 400lbs of trophy sized trout later on this week. Department of Fish Wildlife has also recently stocked. It is currently in the high 60's here and the nighttime temperatures are in the mid 40's. We had some intense winds last week which took a majority of the fall colors with it. We have stopped serving lunch on the front lawn but we will remain serving breakfast burritos Friday-Sunday until further notice. 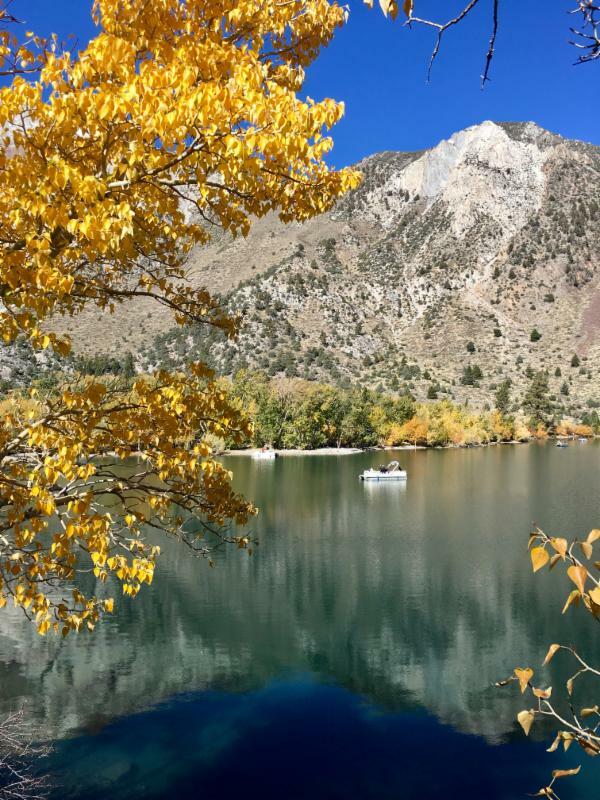 The Restaurant at Convict Lake is also open daily. Don't forget, our Ambush at the Lake Derby is going on now, be sure to sign up! Our bonus derby weekend is this weekend! I hope you all have a great week! It was a great week of fishing. A good amount of big fish were brought in this week. Powerbait in garlic scent scent has been bringing in the big ones. This week we are expecting temps in the high to mid 60's. Nighttime temps will be in the high 30's to low 40's .